'Tis the season to be merry and we want to help make your gift giving spirits bright! We've made it easy to celebrate the holiday season with our 12 days of wine gift package. 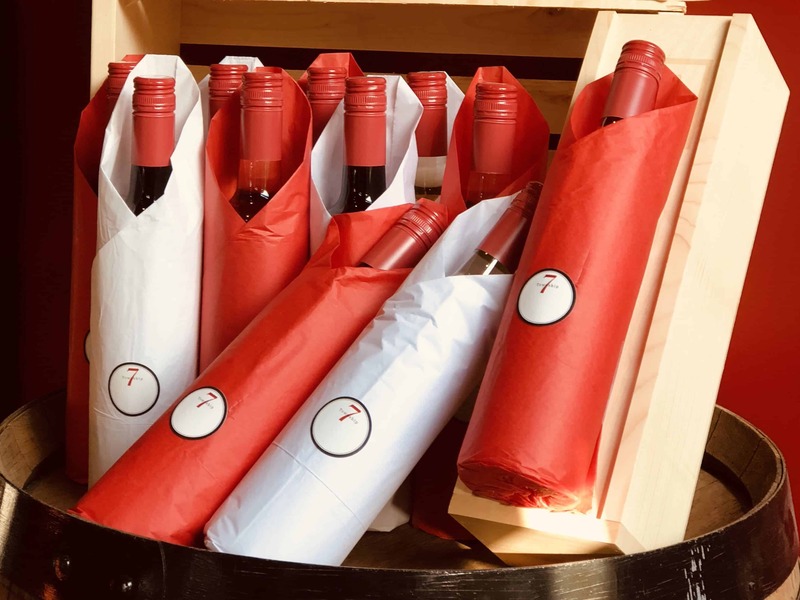 Our winemaker specially selects 12 bottles of wine individually wrapped and packaged in a classic wooden crate, including our limited wine offerings, for $367. We also have a half case option of 6 bottles for $197. Other gift packages include: purchase 2 bottles of your choice, or give a limited edition magnum! Shipping across Canada is also available. Contact wine@township7.com or call either of our tasting rooms, on the Naramata Bench 250-770-1743 or south Langley 604-532-1766.